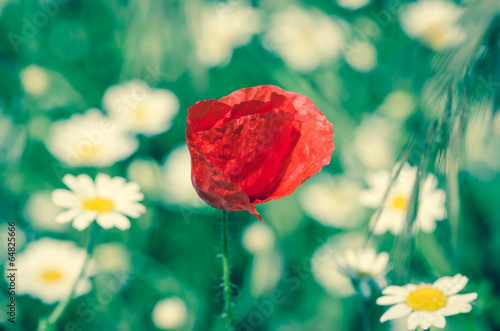 Come to me, red poppy . . . Do not run away . . . Do not feel lonely . . . You are not on your own – you are just unique. It does not mean that you are wore than others. . . The photo wallpaper depicting a red poppy among daisies will be a perfect complement of classic interiors. Let the nature design your house becoming a guide to life.